Inspired by architecture, art, fashion, and travel, Suzanne Kasler designs spaces that are luminous, distinctive, and timeless. In this inspiring collection of recent residences in town, in the country, and at the shore, the designer reflects on mixing the high and the low, the traditional and the contemporary, the new and the old – creating signature interiors that convey a sophisticated simplicity. 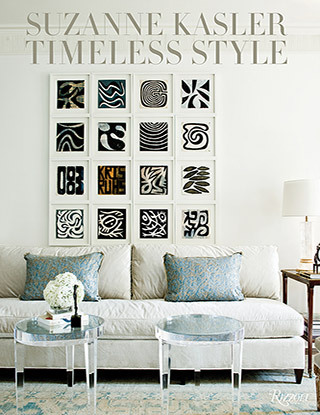 Richly photographed profiles include modern family homes and inviting oceanfront estates from properties in Maine to historic Richmond, various Southern locales, plus the Kips Bay Show House in New York City. Kasler incorporates fresh ways to organize guest areas, create outdoor spaces for luxuriating and entertaining, and assemble captivating vignettes. The result is a wealth of original ideas for design professionals and anyone with a passion for interior design – an essential addition to every design library. Price $65 Purchase Signed Copy Now! Lavishly illustrated, this beautiful second volume of her work profiles a range of Kasler’s recent residential successes, from the designer’s own elegant Regency-style house in Atlanta’s Buckhead to a family-oriented New England classic stone house in Greenwich, Connecticut, and a glamorous neoclassical country house on the majestic Chattahoochee River in Columbus, Georgia. 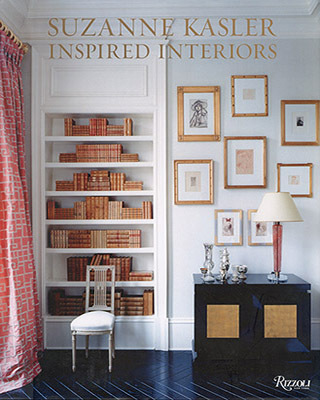 Offering a wealth of original design ideas that are refreshing, this book is an essential addition to the library of any interior design lover. 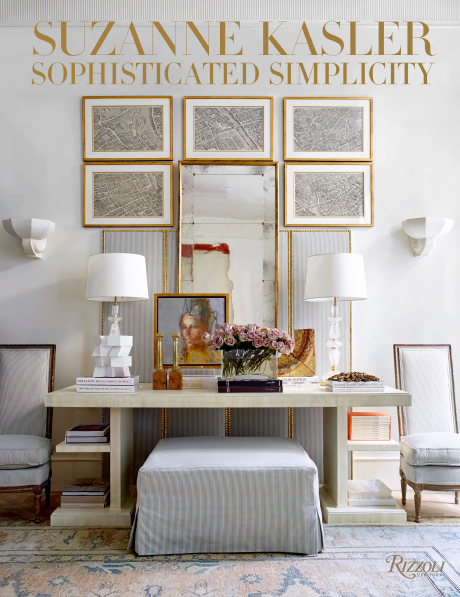 Classically inspired rooms. Pretty palettes. Comfortable spaces. Architectural details. All of Suzanne Kasler’s design signatures are gathered in this beautiful volume showcasing a range of projects — from a luxurious Georgian mansion in Atlanta’s Buckhead to a sophisticated farmhouse in Tennessee and a beach house in Watersound, Florida. Inspired Interiors beautifully reflects the talents of Suzanne Kasler and will inspire and captivate design enthusiasts for year to come.